To wrap up this year in music - PBS has put together our Top 10 Feature Records for 2016. This list includes albums released all year round, all of which have featured on our weekly Top 10 list at some stage throughout the year. As fate would have it, every single artist included on this list happens to be Australian. Top spot? The Peep Tempel Joy. The review below was written by Nick Brown (The Breakfast Spread) in October. "Melbourne divorce-wave trio The Peep Tempel delivered a near perfect punk record two years ago. Tales pushed them from barroom heroes to festival favourites. Stories of blokes who f*cked up and are living with the consequences were lathered with self-awareness and angst. In a young person’s game like rock 'n' roll maybe experience did count for something. 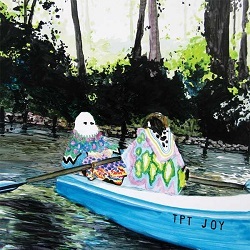 Joy finds The Peep Tempel pushing beyond the suburban pubs and butcher shops that set the backdrop for Tales into regional and outback Australia, uncovering a different mindset and a new host of broken characters. Sonically, they've also pushed into new territory. They can still do the danceable Tote rock that's their stock in trade (see the nazi-bating ‘Rayguns’ or cautionary ‘Go Slow’) but it's just a fraction of the mosaic that's on offer here. From the operatic rock of ‘Totality’ to the isolation and loathing dripping from the dark monologues ‘Kalgoorlie’ and ‘Constable’, The Peep Tempel cover an astonishing range. The blistering top-end guitar is still there. So is the relentless engine room chug of Steve and Stew. It's just that they've found a whole lot of new ways for these simple elements to fit together. Blake's voice is more threatening than ever – casting long shadows over proceedings, its power and range are formidable. ‘Neuroplasticity’ dominates the second side of the record – it's an instant classic built around a punk-funk bass line and a stunning arrangement. How do we manage to keep ourselves happy when the world is in such a dire place? Ignore it, of course. There's no shortage of distractions from the carnage so why should we let ourselves feel bad? Feeling uncomfortable yet? Maybe you should be. The Peep Tempel have taken the sound they'd refined on their second album and pushed it out into new and weird places. Likewise they've looked deeper into the Australian psyche revealing some of the wiring responsible for violent and apathetic behaviour. Refusing to be pigeonholed, The Peep Tempel have delivered one of the best rock 'n' roll records of the year. Just don't expect it to improve your outlook on life." Next, we have Camp Cope with their outstanding self-titled debut LP. Review below also by Nick Brown, from back in May. 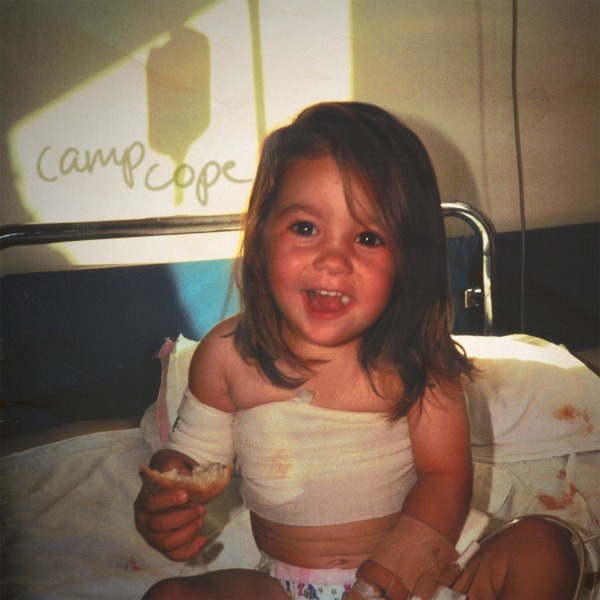 "Melbourne band Camp Cope's debut LP is a stunning triumph. Its stream-of-consciousness tales of struggle in a brutal world offer up tough resistance to economic and social oppression. Georgia McDonald's Foucauldian insight into language and the power it holds over us shines throughout. She has a rare ability to lay bare the meanings we attach to words and to connect the intimate with the structural. The rhythm section of Kelly-Dawn Hellmrich and Sarah Thompson work perfectly with McDonald's guitar and vocal work. Their empathetic playing adds plenty of fire without scrapping for space in the mix. 'West Side Story' provides a painful insight into the personal experiences of what people optimistically describe as late-stage capitalism while 'Jet Fuel Can't Melt Steel Beams' (the best song name of the year thus far) goes to war with "the lies they use to control you". Both showcase McDonald's honest, powerful and vulnerable songwriting. Camp Cope is the sound of three people who've developed a unique language to express their reality and refuse to have it dismissed." Check out the rest of the list below, and congratulations to all!